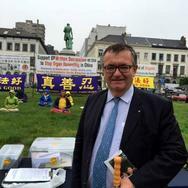 Throughout June, Falun Gong practitioners held events in front of the European Parliament Building to raise awareness of the severe suppression of Falun Gong in China. Below are some examples of the broad support they have received from all walks of life. 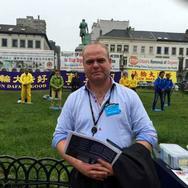 Business consultant Stefan Schepers studied the posters on display before signing a petition calling for an end to the persecution. “I have heard about your group from newspapers and other channels. 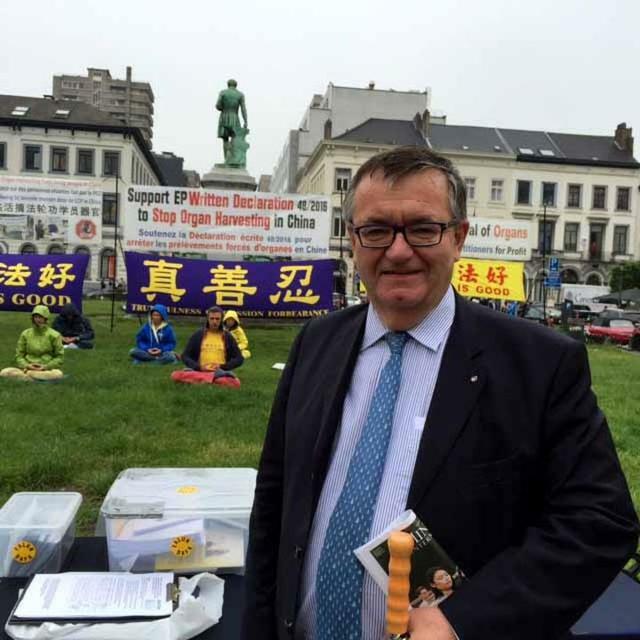 And I know the Chinese communist regime targets people with violence.” He encouraged practitioners to hold more such events to focus public attention on the issue, commenting that Europe should not sacrifice human rights principles to do business with China. 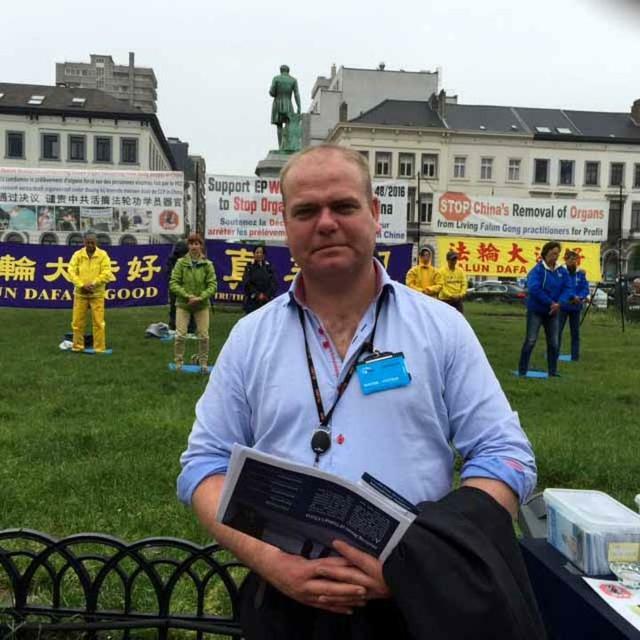 Thomas Redmond, who works in the Irish government, said he first heard about forced organ harvesting several years ago. “This atrocity reminds me of other tragedies that occurred in history. We have to do something to stop them.” In addition to signing a petition, Redmond said he would also bring the matter up when he met his parliament member later in the day. Kathleen Funchion, an Irish parliament member, came by with two other Irish officials. They took pictures, talked with practitioners, and signed petitions of support. “I am aware of this [forced organ harvesting] and it makes me ashamed.” She said she would tell more officials about this. Pedestrian Maud Brichat signed a petition on her way to catch a bus. 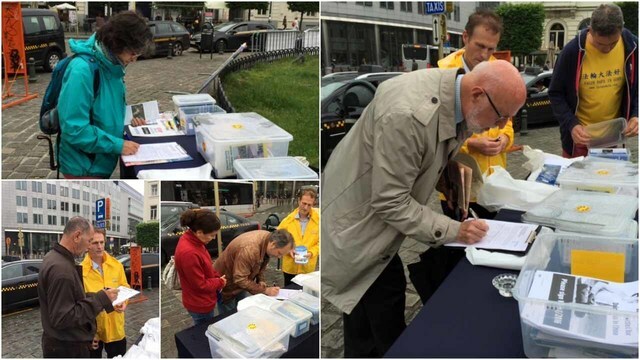 She said what practitioners were doing in front of the European Parliament Building was “important. This is based on the traditional values, something all of us need to support.” She said that the more people that knew about this, the sooner the atrocity would stop.